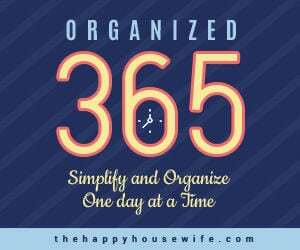 Every new year I am inspired to get more organized, and this year is no exception. Rather than going out to buy new organizational tools, however, I headed to my recycle bin. 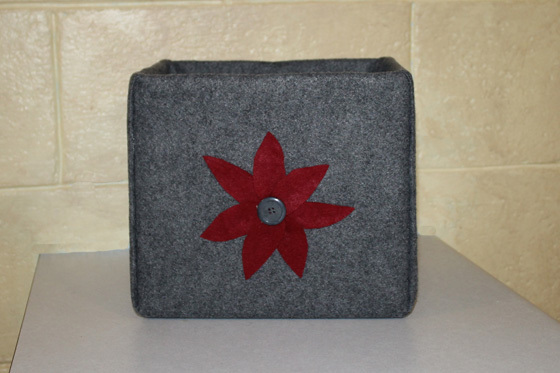 Armed with a box and a few other items, I was able to make a brand new felt covered box I plan to use in my craft room to help keep my work space uncluttered. I love how it turned out, and because I used things I already had on hand, it was essentially free. 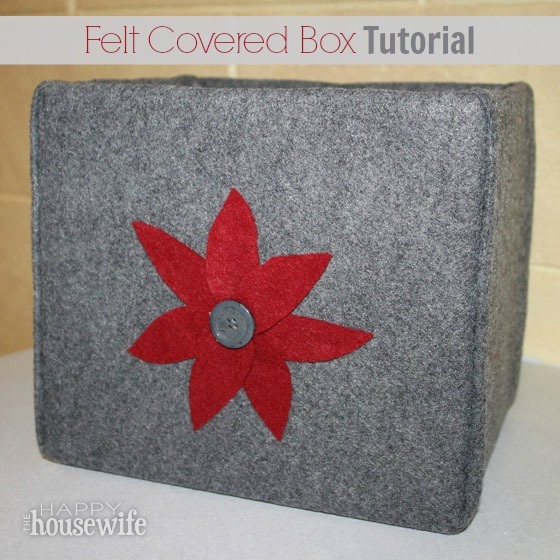 If you want to make a felt covered box for yourself here’s how. 1. 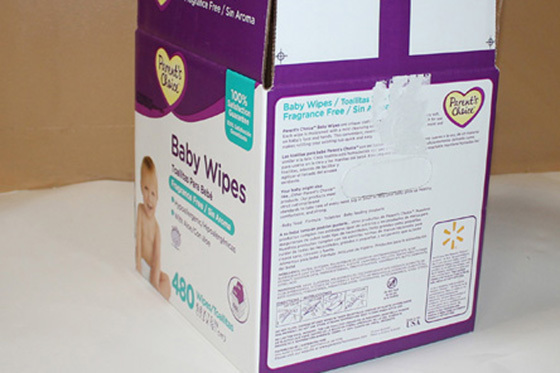 Take the top flaps off of the box you have chosen for this project. 3. Measure the sides of your box. 4. Double (again) the measurement from Step 2 and add that to the length and width of your box to get the length and width of the felt you need. For example, the box I used for this project was 9 1/4 inches on the longs sides and 7 1/2 inches on the short sides. I doubled 17 to get 34 and added that to 9 1/4 and then to 7 1/2. This meant that my piece of felt needed to be 43 1/4 inches by 41 1/2 inches. Your dimensions will vary based on the size of the box you have chosen. 5. 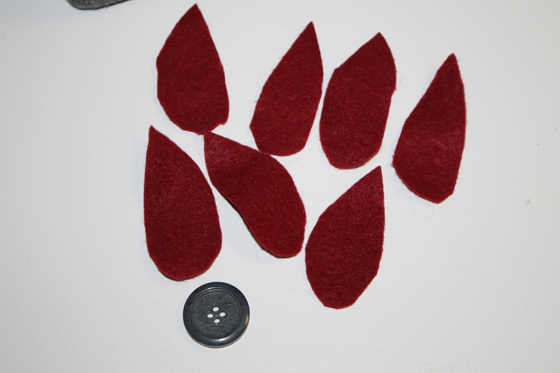 Cut the felt to the dimensions you calculated in Step 4. 6. 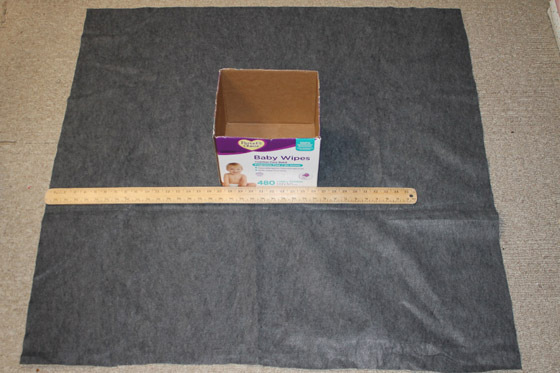 Cut a square from each corner of the felt that is the same dimensions as the measurement you calculated in Step 2. 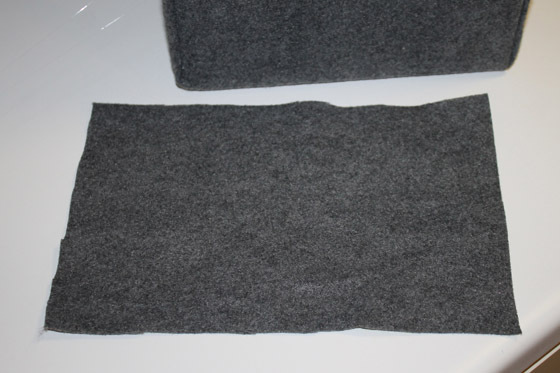 My Step 2 measurement was 17 inches, so I cut a 17 inch square from each corner of the felt. 7. 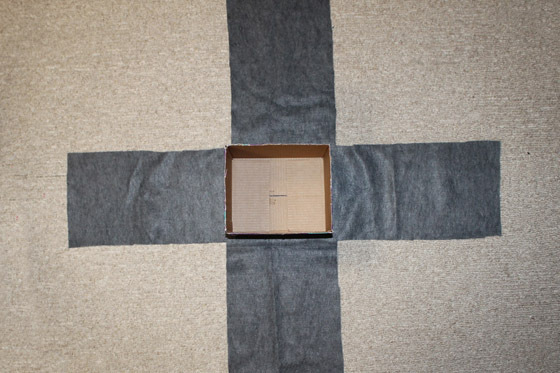 Place the box in the center of the felt (that now looks like a plus sign). 8. Fire up your hot glue gun. 9. 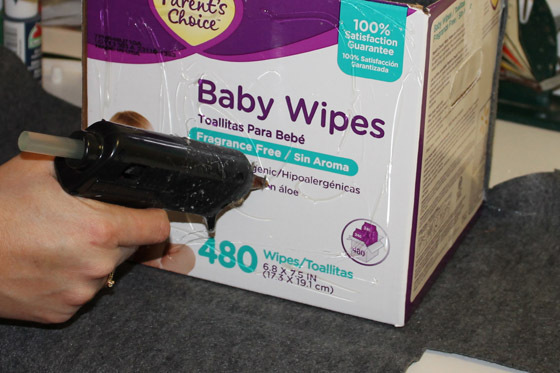 Spread glue on one side of the box, pull up the felt, and press it to the box. 10. Glue the felt to the inside of the box as well. I suggest doing the two long sides first and then doing the short sides. 11. To make the corners look nice, tuck the raw edges of the short sides under before gluing them to the box like in the picture below. 12. 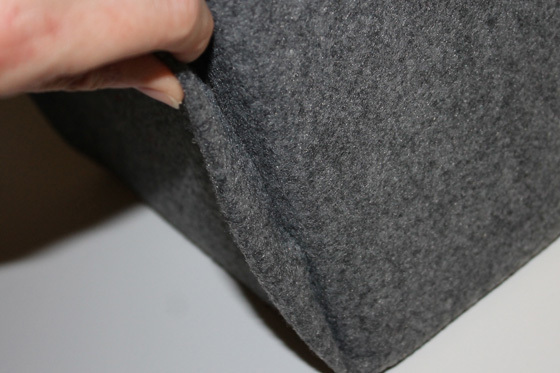 Once you have all of the sides glued in place, cut a piece of felt the same size as the bottom of the box and glue it in place. You can leave the box plain or add a felt flower like I did. 2. Glue the petals in place and add a button to the center. 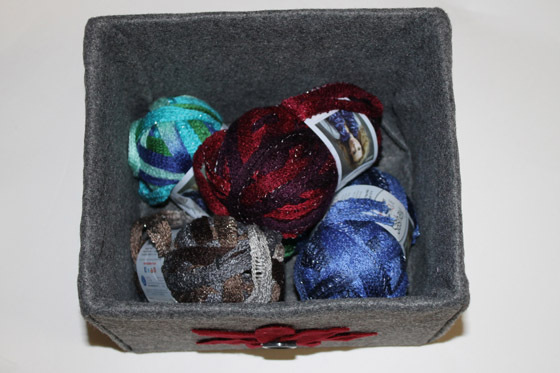 I love how simple and frugal these boxes are, and they are great for storing any number of items like yarn or other craft supplies. 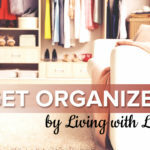 So, save some boxes from the recycle bin and give them a fresh look to help keep your home organized this year.